I have to admit, like this guy I too find some German food a bit strange. However, what strikes me the most that unlike so many other cuisines, it remains true to its roots. Back home in Britain, our national and regional dishes seem to have been unceremoniously raped and pillaged by celebrity chefs. You know, the ones telling us to cook a traditional Sunday roast in “EVOO” (took me ages to realize what that was), and to replace the roast spuds with quinoa garnished with flat leaf parsley and truffle oil. The final straw for me was when that Heston geezer got Little Chef to start dribbling balsamic vinegar around the edges of their full English. In contrast, German food – as weird as some of it may seem to us ‘auslanders’ – does remain pretty unadulterated. It is pretty much as Großmutti would have cooked it years ago. And not a drop of chilli oil truffle oil or pink Himalayan salt in sight! When you think of German food, what’s the first thing that comes to mind? Lots of meat? Sausage? Bread? Sauerkraut? (Endless fields of pig bodies to satisfy Germany’s disturbing and straight up demonic appetite for all things swine?) Before moving to Germany, I thought of these things too, because I had no idea just how weird and diverse German food really is — or that I would someday learn to love the nightmarish display of grotesqueries at the grocery store. Please note this is a reblog from Spoonfuls of Germany, which is a great site and I do recommend you check it out. On Saturday 20th July from 11am, the 2018 Zell Long Table (”Zeller Lange Tafel”) kicks off. The impressive Reichsburg medieval fortress in Cochem has several activities over the year, one of the most popular being the Knight’s Meal. 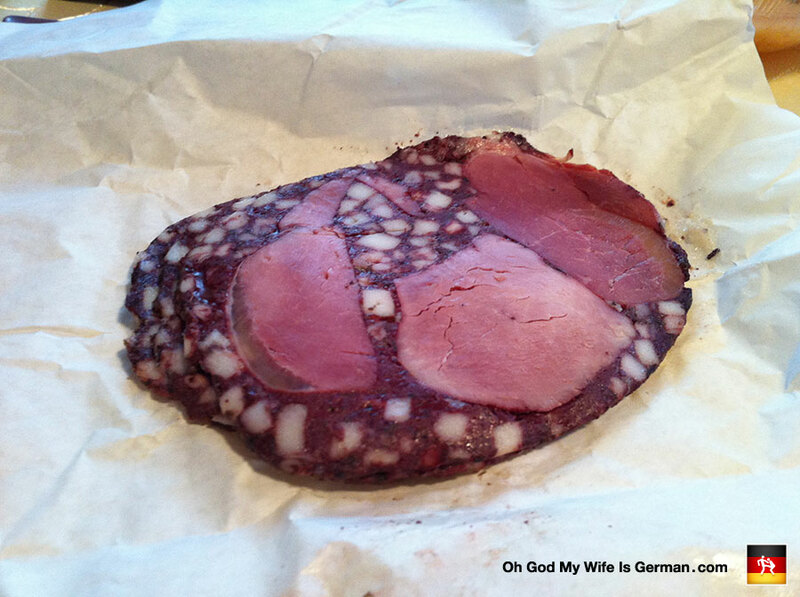 A nice explanation by a fellow WordPress blogger backpackerlee of three of the most popular German sausage variations. A great start for novices! Sometimes you just fall in love with the national dish of a country, and that’s what happened with these German sausages, where I learned that ze wurst is ze best!